Great for Team Building! 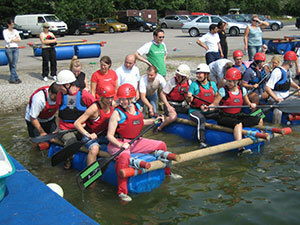 You will race your fellow teams to build the raft then race it round the reservoir! ​First team to make it back with their Raft still intact and their passengers still afloat WINS!